At Budget Blinds of Walworth County, we're your local neighborhood experts that truly understand your needs. We're in your neighborhood, we know the local Walworth County weather and community, and we’re backed by the #1 provider of blinds, shades, and drapes in North America. Over 25 years of customer satisfaction gives you peace of mind that only comes with choosing the proven leader. We bring the showroom to you in Walworth County. We expertly measure your space, install beautiful window treatments, and back it up with the best warranty in the business so you can sit back and relax in the beautiful, Walworth County weather and sunshine. We serve to give you the best in window treatments, so you can rest easy knowing your space will be beautified and optimized with window treatments that fit your individual needs. As a trusted, locally-based provider of custom window treatments, Budget Blinds serving Walworth County has been serving homeowners, businesses and residents for years. Now it’s your turn to explore what our unique, customized approach to stylish, affordable window fashions can bring to your home and your Walworth lifestyle. 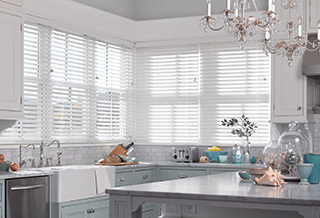 From the Lauderdale Lakes to stunning Lake Geneva, Budget Blinds serving Walworth County and the surrounding areas offers the latest trends, innovative products, and unparalleled service in window coverings. And as a proud supporter of the Walworth County Fair, we know what local means when it comes to putting our heart and soul into making your house a home with window fashions that elevate the look you’ve wanted for so long. From expert design to precision installation, our expert, highly trained designers and installers create a style and a smile for any budget. So no matter where you are in the Walworth County area, let our team partner with you to transform your home’s décor into something truly special. You’ll see why we’re backed by the #1 provider of custom window coverings in North America. Plus, to make it easy, we’ll bring our entire showroom to you in the comfort of your own home. Call or click today and see how our superior neighborhood service will make you wish you’d called us sooner! Budget Blinds in Elkhorn were so helpful to us in replacing a large roller shade that couldn't be repaired. They got back to us so quickly with an estimate. They held on to it until we returned from vacation, then they installed the next day so we could get some sleep! Their prices were surprisingly good and I will use them again and you shouldn't hesitate to use them. The best! Everyone on their team is very professional, honest and knowledgeable. From selection (Patty is great) to installation, they all made it a very pleasant process. Customer service is outstanding. I would never go anywhere else. Highly recommend.